I know I had a jump start on spring shopping, but now that it's the first official day of spring I've got my mind on cute pieces to transition into warmer weather. For us here in the south, it's cold in the mornings, warm in the afternoon and then chilly again in the evening. Which makes things pretty difficult and a bit confusing when getting dressed. Then the other day, a lightbulb lit up in my brain and I remembered how much I loved my boyfriend style denim. They are perfect to style with a blouse and pop over a jacket for the chilly moments. 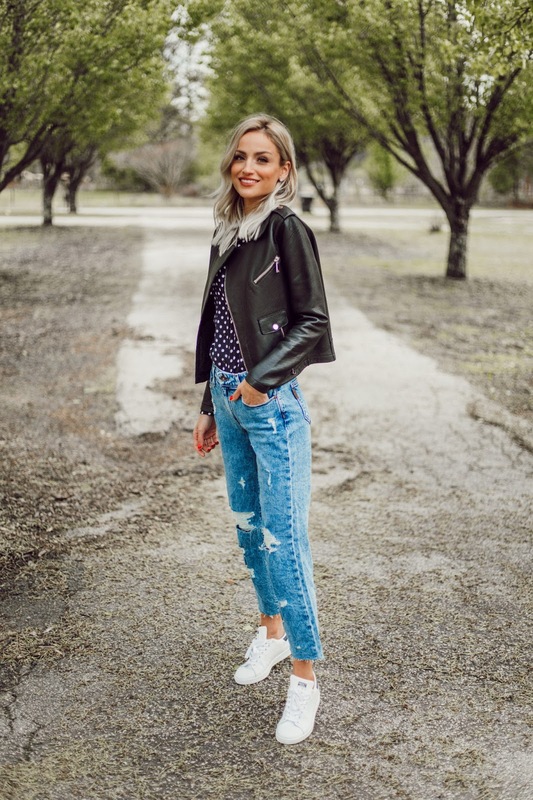 You guys know I like to keep things more casual so I styled my Paige denim with my adidas sneakers and my favorite polka dot blouse (again). Sorry, I can't stop wearing this top. 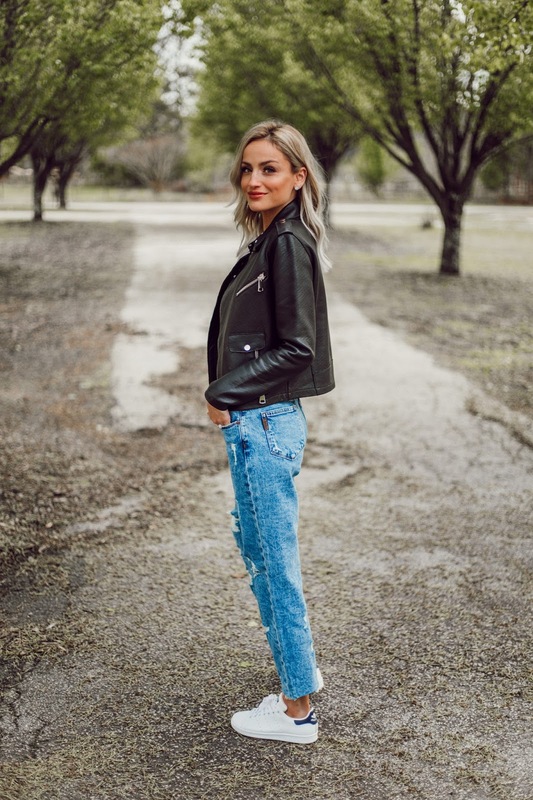 I love it dressed up and dressed down with these jeans and sneaks! Technically, this pair of denim was named a straight leg, but in my opinion they fit more like a boyfriend jean. I'm wearing my usual denim size, but could have sized down for a closer fit. 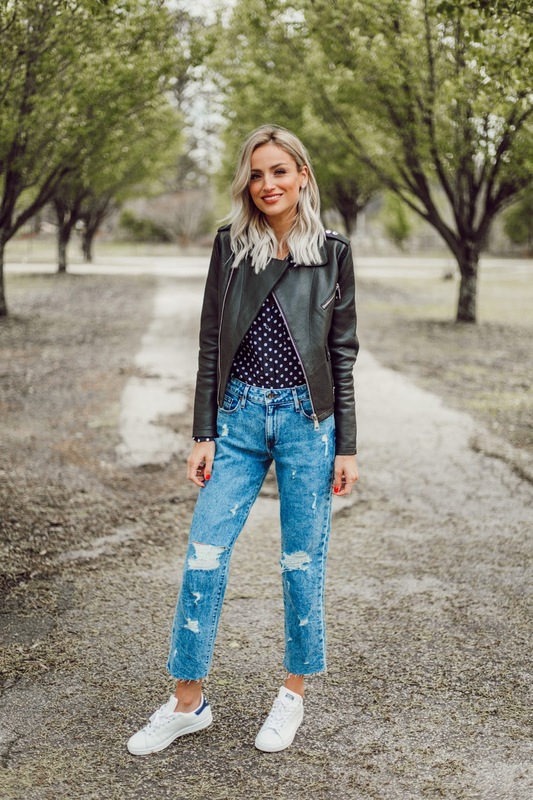 I'm honored to be partnering with Paige on behalf of Bloomingdales on this post to share my favorite denim for spring, and don't worry if boyfriend style isn't your cup of tea - try these white ankle skinny jeans that fit like a glove and would be perfection for spring and summer. You can check out the rest of the Paige denim line at Bloomingdales here. Thank you to Bloomingdales for sponsoring this content!